The Foundation for New Monasticism & InterSpirituality (FNMI) is dedicated to the emergence of a newly conceived contemplative life that embraces the ideals of all of the world’s wisdom traditions. FNMI strives to support the development of an interspiritually-based new monasticism through a series of dialogue-based retreats for current and future spiritual leaders (FRIS), a two year formation program for new monastic life called Charis, on-line and in-person programs, written and audio-visual resources for new monastic life, the preservation of teachings from interspiritual pioneers, and partnerships with monasteries and other contemplative centers to provide a place of retreat and training for new monastics. Through these activities, FNMI wishes to support new monastic and interspiritual seekers of all types in their desire to commit to a disciplined contemplative life, while remaining connected to the world and its needs, especially as related to social justice and environmental responsibility. 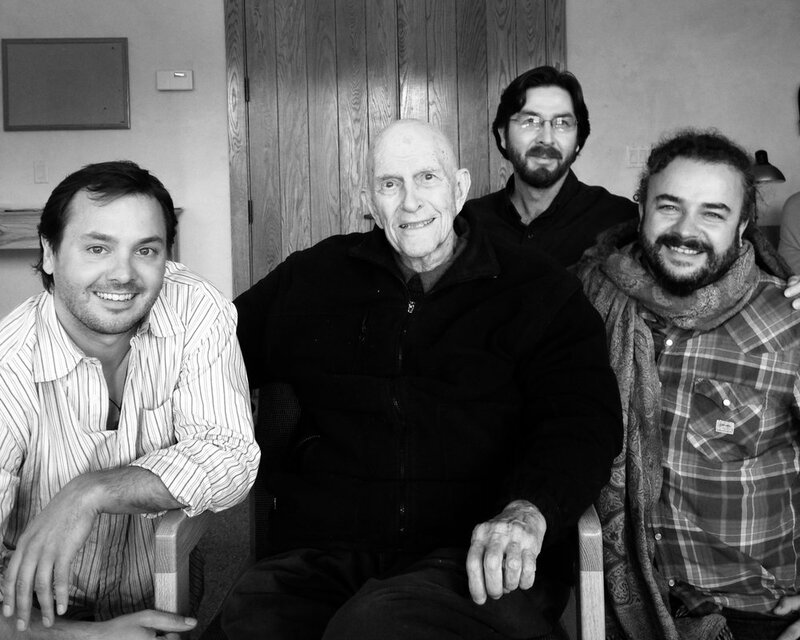 From left to right: Rory McEntee, Father Thomas Keating, Netanel Miles-Yepez, and Adam Bucko, during New Monastic dialogues at St. Benedict's monastery in Snowmass, CO, 2014. 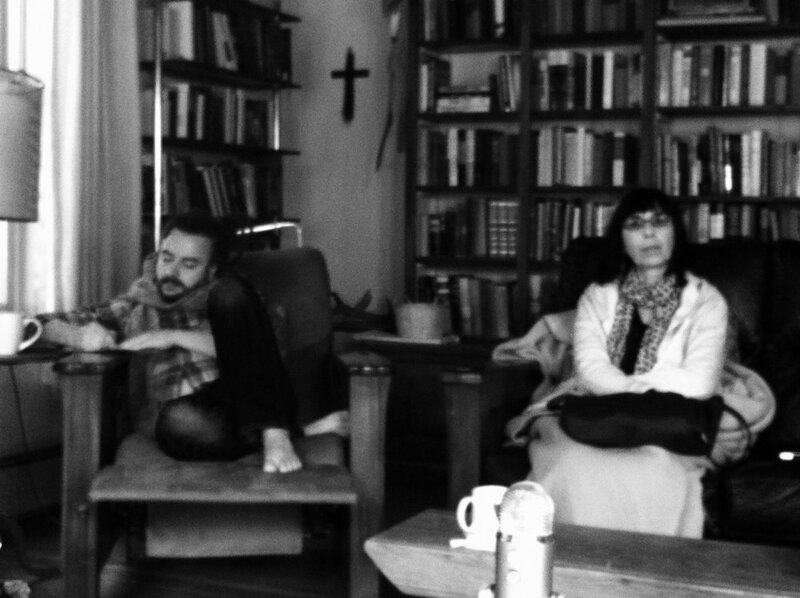 Netanel Miles-Yépez is an artist, philosopher, religion scholar, and spiritual teacher. Deeply involved in ecumenical dialogue for many years, he is considered a leading thinker in the InterSpiritual and New Monasticism movements. Born into a Mexican-American family, in his late teens, Netanel discovered his family’s hidden Jewish roots and began to explore Judaism and other religions seriously. After studying history of religions and comparative religion at Michigan State University, he moved to Boulder, Colorado to study with the innovative Hasidic master and pioneer in ecumenical dialogue, Rabbi Zalman Schachter-Shalomi, founder of the Jewish Renewal movement. In 2004, he and Schachter-Shalomi co-founded the Sufi-Hasidic, Inayati-Maimuni lineage of Sufism, fusing the Sufi and Hasidic principles of spirituality and practice espoused by Rabbi Avraham Maimuni in 13th-century Egypt with the teachings of the Ba’al Shem Tov and Hazrat Inayat Khan. After the passing of Schachter-Shalomi in 2014, Netanel became the Pir of the Inayati-Maimuni lineage. 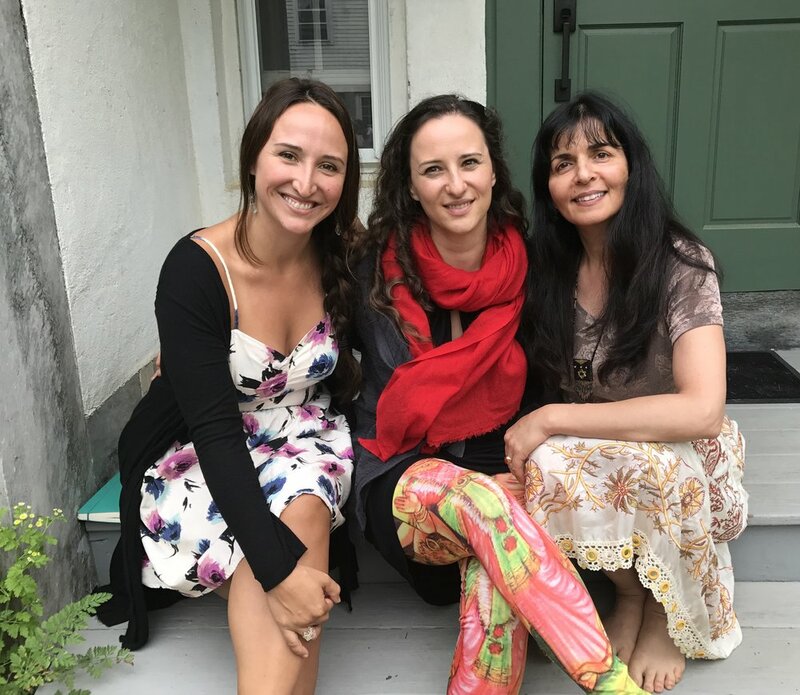 In addition to Schachter-Shalomi, Netanel also studied with various Sufi masters, teachers of Hinduism and Buddhism, and counts Father Thomas Keating, Trappist monk and founder of the Centering Prayer movement, as an important teacher. For a number of years, he worked closely with Edward Bastian at the Spiritual Paths Foundation, creating interspiritual dialogues and exploring the foundations of interspiritual meditation and practice. As a writer, he is known for his critically acclaimed translation, My Love Stands Behind a Wall: A Translation of the Song of Songs and Other Poems (2015), as well as his commentaries on Hasidic spirituality (written with Rabbi Zalman Schachter-Shalomi), A Heart Afire: Stories and Teachings of the Early Hasidic Masters (2009) and A Hidden Light: Stories and Teachings of Early HaBaD and Bratzlav Hasidism (2011). He is also the editor several ecumenical works, including The Common Heart: An Experience of Interreligious Dialogue (2006) and Meditations for InterSpiritual Practice (2011). Most recently, he was Spiritual Director and Teacher-in-Residence at the Abode of the Message in New Lebanon, New York, and currently teaches in the Department of Religious Studies at Naropa University in Boulder, Colorado. Rory McEntee is a philosopher and interspiritual theologian working at an intersection of spirituality, education, social justice, and culture. Through his work with influential teachers and his own writings, Rory is considered one of the architects of the New Monastic and InterSpiritual movements. 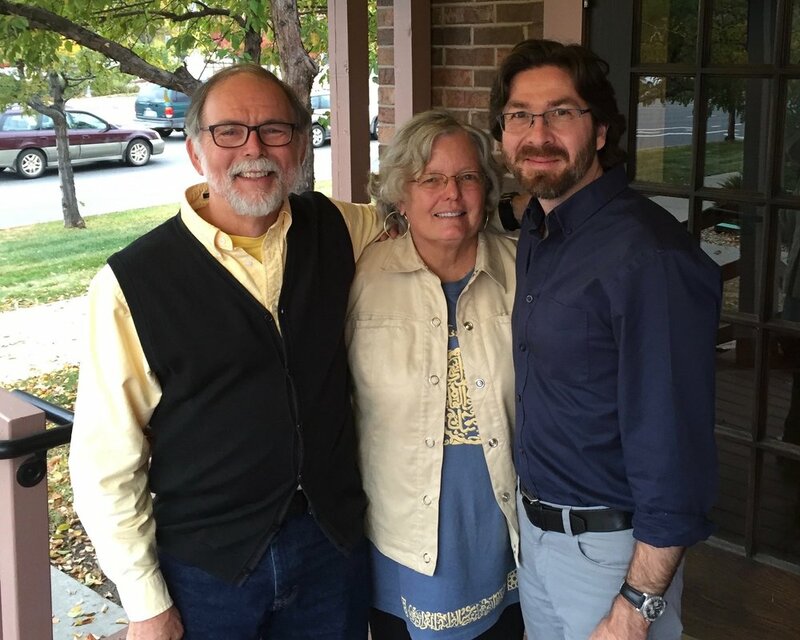 After pursuing a career as a mathematics and physics teacher, as well as doctoral work in Applied Mathematics at the University of Southern California, Rory decided to dedicate himself full-time to the spiritual path. A close friend and mentee of the late Brother Wayne Teasdale, Rory worked on the Parliament of World Religions and helped to found the InterSpiritual movement, traveling and participating with Teasdale in dialogues with world spiritual leaders, including His Holiness the Dalai Lama and Father Thomas Keating. While traveling in India, Rory met his spiritual father, Joshi Baba, a wandering sadhu in the Advaita tradition. He later served as the administrator for the Snowmass InterSpiritual Dialogues—an ongoing 30-year project convened by Father Thomas Keating—engaging spiritual leaders from multiple traditions in an intimate dialogue, where participants meet as human beings in search of the ultimate rather than representatives of their religious traditions. Currently, Rory is leading and teaching programs and retreats on New Monasticism and InterSpirituality around the country, while at the same time pursuing his Ph.D. in Theology and Philosophy at Drew University. Adam Bucko is an activist and spiritual director to many of New York City’s homeless youth, and considered a leading thinker in the InterSpiritual and New Monasticism movements. Adam grew up in Poland during the totalitarian regime and spent his early years exploring the anarchist youth movement as a force for social and political change. At the age of 17, Adam immigrated to America where his desire to find his path towards a meaningful life led him to monasteries in the US and India. His life-defining experience took place in India, where on his way to a Himalayan hermitage to learn the ways of a Christian sannyasin (under the direction of Vandana Mataji), he met a homeless child who lived on the streets of Delhi. This brief encounter led him to the “Ashram of the Poor” where he began his work with homeless youth. After returning to the US, he worked on the streets of various American cities with young people struggling against homelessness and prostitution. He eventually co-founded The Reciprocity Foundation, an award winning nonprofit dedicated to transforming the lives of New York City's homeless youth. In addition to his work with homeless youth, Adam established HAB, an ecumenical and inter-spiritual new monastic fellowship for young people which offers formation in radical spirituality and sacred activism. He collaborates with spiritual leaders across religious traditions and mentors young people, helping them discover a spiritual life in the 21st century and how to live deeply from the heart in service of compassion and justice. As a writer, Adam first became known for his groundbreaking manifesto (co-written with Rory McEntee), “New Monasticism: An Interspiritual Manifesto for Contemplative Life in the 21st Century,” which garnered the duo much attention. Later, Adam and Rory followed this short manifesto with a full-length book version, The New Monasticism: An Interspiritual Manifesto for Contemplative Living (2015), which presents a philosophical, theological, and poetic vision for new monastic life, as well as methodologies for its practice. He is also co-author (with Matthew Fox) of the award-winning Occupy Spirituality: A Radical Vision for a New Generation (2014). Currently he is studying for the priesthood.